Temple Rodeph Torah has accomplished the near impossible! You have permitted and embraced change with almost no complaint over the last year or two. First in December of 2010 we changed our prayer book. We stopped using the prayer book so lovingly put together by TRT, and took up the newest version of our movement’s prayer book. Mishkan T’filah is a new envisioning of what the Reform Movement’s prayer book should be, and while heavy, it has beautiful writings. Using it gives us new opportunities to understand old prayers and introduces us to new prayers as well. Then in September 2011 we radically changed the aesthetic of one worship service a month, with the introduction of Rock Shabbat. Rather than rebelling from this radical change leadership, the community and our amazing sponsors have all embraced Rock Shabbat. I thank all of you for embracing these changes and opening your hearts and minds to new ways to connect with God and community. The time has come to explore another new change. The Reform Movement, having changed our Shabbat Prayer book, has now embarked on a new High Holiday Machzor. We are honored to be chosen to participate in a pilot edition of the Kol Nidre Service. This service will look and feel different from previous Erev Yom Kippur services. You will have a physically different book in hand. The Machzor is set up differently than the one we have been using. Like Mishkan T’filah, our Kol Nidre book will have a one page spread of options (Hebrew and transliteration on the upper right page, a translation below that, with an alternative reading, poetry or text study on the left hand page). These options are both freeing and confining. It is very difficult to PRAY when everything is new. On the other hand, there is so much to explore: new ways to understand our High Holiday liturgy, new ways to understand God and our relationship to God, new ways to understand transgression and repentance and Yom Kippur itself. We know this could be a very hard transition: High Holidays are a time people really want what they are used to, they want tradition! Yet, we are so excited for the opportunity to explore these new insights into our faith, and feel blessed to be able to transition to a new Machzor gradually by starting with the introduction of just this one service. On a musical note, I am also very excited for this new service, because it includes many prayers which we have not had the opportunity to sing at TRT before. One example of this is one of my favorite High Holiday prayers: Sh’ma Koleinu. This prayer pleads with God that God will listen to our voices, show us compassion and accept our prayer with love and goodwill. There are amazing and haunting melodies for this inspiring text but our current Machzor “On Wings of Awe” only includes the text in the morning service, and due to our double service time constraints we have chosen not to sing this text. 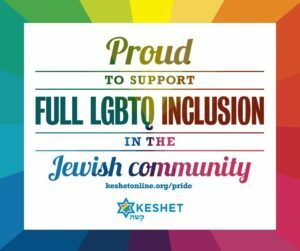 The Machzor is not yet complete so we will also be asking you to fill out an online evaluation survey (hhprayerbooksurvey.trt.org) so the creators can make changes to best meet the needs of the community (please remember the community, in this case, is all of North American Reform Jewry). Thank you for your amazing openness to change in the past few years, and thank you for being open to this amazing journey as we re-explore High Holidays and re-explore our relationship to God, community, transgression, and repentance on these most holy of days. I hope you will find our new texts inspiring and helpful, and I hope you will join us with an open mind to experience this different Kol Nidre service.